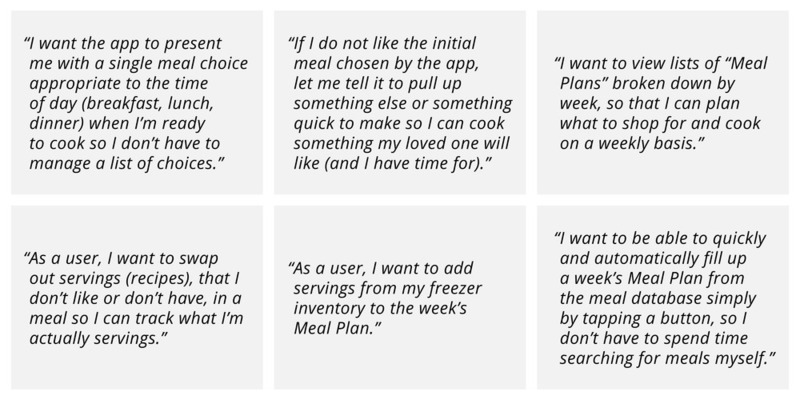 Launch a different type of meal planning app geared towards the caregiver of a family member with alzheimer's. Individuals with Alzheimer's receiving consistent, balanced meals that support brain health. An informed caregiver who understands the benefits of nutrition on brain health.